a. Option to resize venues. 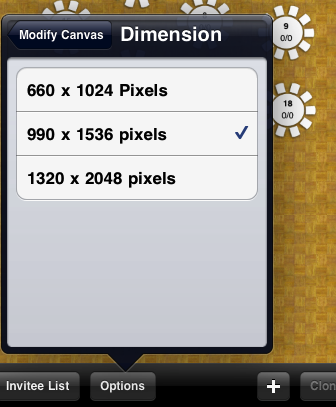 We will support three sizes: 660 x 1024, 990 x 1536 and 1320 x 2048. These are the equivalents of 1.0, 1.5, 2.0 times the size of the iPad screen. You will be able to pinch and zoom the venues. b. 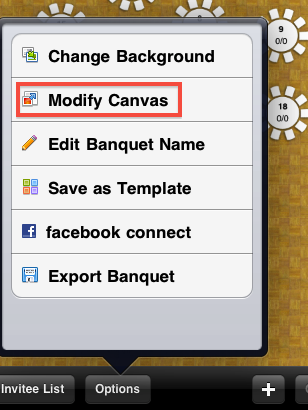 Option to switch the venue between portrait and landscape mode. c. Option to add customizable objects (user defined objects such as tables, trees, etc). 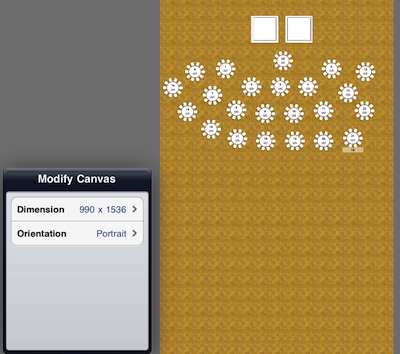 These are some images on how the resizing and rotation will look and work.